Notes: Brackenagh Wednesday Step every 1st Wed of the month. Times: 3:30pm, 4:30pm, 5.30pm, 6.30pm & 8.30pm. This entry was posted in Announcements, Christmas, Meeting News on by admin. The change this issue is a change of venue for the Tuam lunchtime meetings. The 13:00 lunchtime meetings in Tuam have moved from the Parish centre to Harmony Hall, Church View, Tuam. This meeting list is available here: http://galwayaa.com/aa/AAMeetingsList.pdf, so that members and group secretaries can download and print as required. If I could suggest to Area secretaries to please continue to print a few copies to include with area minutes to group secretaries. If I could also suggest to all members to please continue to print a few copies for your home and local groups. Special Note; The secretary of 20:30 Oranmore Wednesday Step meeting at the Pastoral Centre beside the Church has mentioned that this meeting would welcome any support as it is still in danger of closing. If anybody wishes to be added or removed from this mailing list, please let us know. There is a NEW meeting available in Clifden on Friday evenings @ 20:30. A Step meeting at the Clifden Hospital, Day Care Centre. More information here on Clifden meetings. There is also a NEW meeting in Salthill Wednesday nights @ 19.00pm (polish meeting). More information on Salthill meetings. Oranmore Wednesday Step meeting, are looking for support and a meeting secretary. The Friday night meeting is still going strong. More information here on Oranmore meeting. ‘AA speaks with a special voice. It is the voice of experience, understanding and compassion. It is a voice which talks to silence, to fear, to sobbing hopelessness or shouting anger – it is the first and only voice a newcomer should hear. We have a duty to every suffering alcoholic to help them to ask for help. Before the 12th step work there has to be a call for help’ That call for help will often be to the Galway AA telephone service. A short workshop for all interested in phone service will be held 27th Jan in the Galway Bay at 6.30pm. It is hoped that the workshop will provide an insight into the service position and alleviate any fears or doubts volunteers may have. 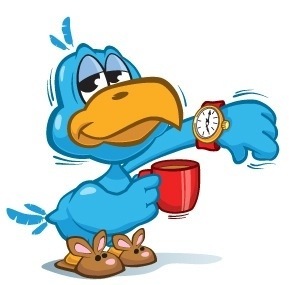 There is now an early early bird meeting in Salthill Church at 7:30am on Monday mornings. This should be an eye opener.. Updated PDF Meeting List here: Click Here. Print a copy and bring to your meeting. There will be a New STEP meeting starting in Oranmore on Wednesday 22nd April next. The Saturday meeting in Oranmore has been closed.